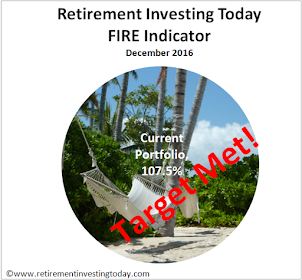 A couple of weeks ago I posted the article KISS Investing for Retirement. 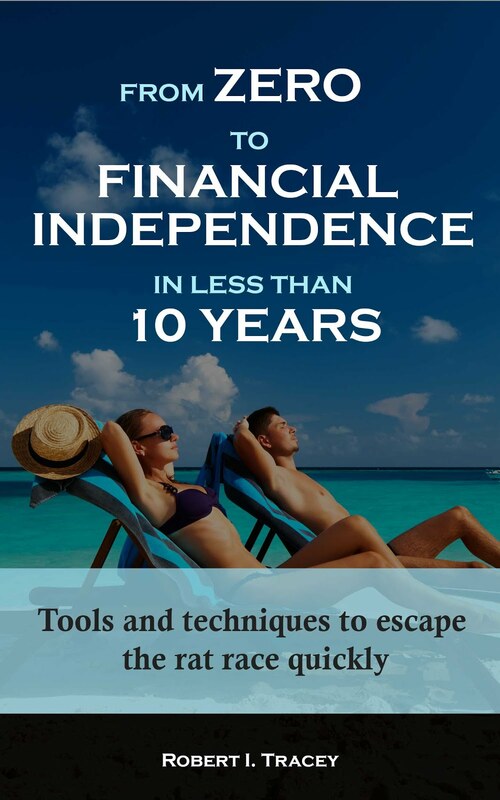 This looked at what I believe was a simple strategy to achieve financial independence. The first point, which was simply Start, really rang true this week when I read the BBC article Pension Planning ‘Inadequate’ Among Over 50’s. The article itself wasn’t the kicker for me as it was essentially just an advertisement from the National Association of Pension Funds. The bit that made me think was reading some of the comments. Comment 1 had us off to a great start by stating “Having been severely burnt by Equitable Life, and having seen other investments severely limited by commission hungry 'Financial Advisers', I doubt that I am alone in having given up on trying to fund a private pension for my retirement. We seem to be in the hands of thieves and robber barons and I see no escape until death.” A great example of playing the victim and to make matters this comment received a +22 Rating. How about taking some responsibility and making some changes to how you think. A good start might be I won’t be burned like Equitable Life again, instead I’ll diversify my investments both in terms of asset type and investment provider, that way I might take a setback if an Equitable Life occurs again but it won’t destroy my retirement planning. Then do something about those commission hungry financial advisers. I’ve shown in the past how you could run a pension for 0.56% per annum with only £10,000 invested down to as low as 0.19% with £500,000 invested. Of course this route requires some work and some responsibility. Comment 2 stated “This is no surprise as the Government and Bank of England are making it impossible for anyone to get a decent return for their life savings.” Really? I don’t see the same thing. The Retirement Investing Today Low Charge Portfolio has shown a Personal Rate of Return of 7.6% this year to the end of October. When I update it next week to include November it will show an even better return. Sure inflation has eroded some of that but even allowing for inflation the Real Return is still 5%. That’s better than the Real 4% return that I personally need to achieve Early Retirement. Comment 7 was really emotional with the statement “By the time we've paid income tax, NI, mortgage, service charges, council tax, fuel tax, fuel duty, car insurance, food, water, power, all of which are going through hyper inflation levels of price rises, combined with a minimum of companies giving pay rises at all, most people can not afford to put into a pension. ...” Nobody’s forcing you to have a mortgage. You could rent a place that suits your needs like I currently am. The savings I make by renting a smaller place instead of buying a forever home could then be put into some retirement savings. Alternatively you could just take a mortgage out on a smaller place. That would also save you service charges, council tax and power costs. On the topic of power costs you could also turn the heating down and put on another layer allowing you to save a bit more. You could offset some of that Fuel Duty by walking or cycling a bit more which would also increase your health levels. Food preventing you from saving for retirement how about going for the lowest cost grocery bill. Your company not giving you a pay rise. A few options are available. Maybe you could go somewhere else that is prepared to pay you what you are worth. If everyone’s paying the same then sorry that’s your market rate for that job. Get over it. Maybe instead of complaining you could work a bit harder. Who knows your employer might notice and pay you a bit more or even promote you. It’s worked for me. If that doesn’t work then use those new skills you’ve been learning in your own time to move to a new career where you can get paid more. It’s all about less complaining, less playing the victim and more self responsibility. Do you agree? What has happened in the last five years or so is that some of the assumptions that people made about their financial lives failed, but failed gradually. Their finances are being slowly boiled alive like the proverbial frog, and the absence of a step change makes it harder to see the problem and respond. Tkae that house, for instance. It seems to be a middle class mantra to buy as much house as you can afford to service a mortgage, because for a long time since the mid-80s the parasitic costs of increased area (power bills and council tax) weren't that high, and house prices always rise, don't they. These costs are slowly strangling people now. God knows what will happen when interest rates return to the long-run norm of about 5%. Wages are being forced down because a globalised workforce is competing with us, and while it's probably good for humanity as a whole, our end of the boat is sinking. There's also the whole loss of basic life skills thing. A generation has grown up believing the only source of food is supermarkets, which is okay when you can afford it but not when food costs are a problem. Learning what the kitchen is for might help some of these people. On the serious side you make a great point about a globalised workforce. In the last 10 or so years I've spent a lot of time in many developing countries including the majority of the BRIC's. Some of those people, who I would now class as friends, have very little in UK terms but are happy with their lot. Maybe this has helped calibrate my feelings that the people of the UK (at least today), on the whole, even today are still very lucky and privileged. They just don't know what it means and how to achieve it. That said, if the world really is going to truly globalise then IMHO opinion the pain in the UK hasn't even started. As you allude I also can't see how the developing countries will get richer without us getting "poorer". Just to clarify when I say poorer I mean in financial terms not in life terms. I honestly believe if people pulled their heads out of the sand and came to grips with what really mattered the majority wouldn't feel poor ar all. The question is how is that message going to be spread. It's not going to come from the mainstream media as the masses don't seem ready to hear it yet (but I'm sure some are ready which would help create that rolling snowball) plus corporations won't advertise in places that encourage you to spend less. The web is already full of ERE and Downshifting information and while some are embracing it (I can think of at least 2 - you and I) the transition appears very slow indeed. I think the key phrase is 'financial independence': people expect others to do things for them, but can't be bothered to understand exactly what the other people are doing. Then they are surprised when it turns out the others haven't been doing what they'd said they do. The fear of change also prevents people from coping: as you point out, most people could live with a much smaller income with a few adjustments. If house prices collapse or interest rates go up massively - neither of which I see in the near future - people will just have to save more or live in smaller houses. I don't see that the developing countries getting richer necessarily means that we'll be financially poorer in absolute terms, but we may >feel< poorer. Jobs and skills change and always have, but it's not hard to learn new skills to match what's needed.